Are you interested in saving 20-30% on hidden telecom costs? You likely have hidden telecom prices that are substantially increasing your bills. Getting the most out of your budget is a challenge that every leadership team faces. One often overlooked expense is the company’s telecom system. While it may appear that a telecom system comes with a set cost, that’s untrue. Vertical Communications can help you decipher your telecom bills and lower your cost, using their 5 Step Methodology for Cutting Carrier Costs. To understand the ins and outs of cutting carrier costs, read the full methodology in the article "Phone System Costs Breaking Your Budget? Discover How You Can Eliminate Carrier Costs to Get a Bigger Bang for Your Buck". 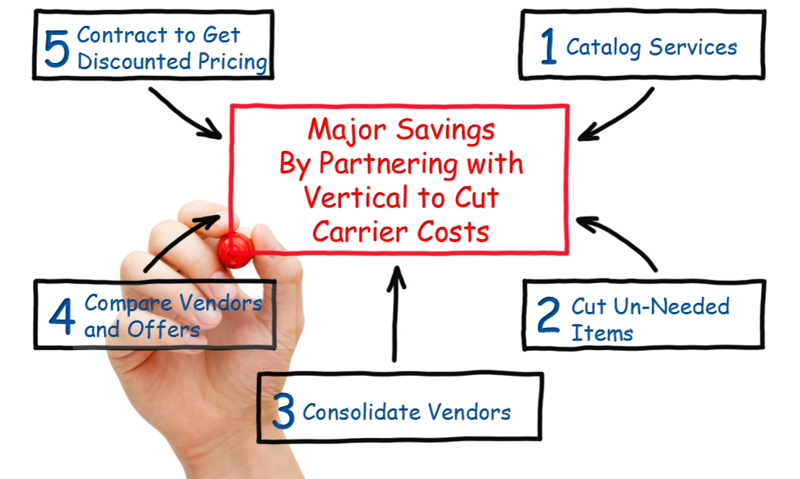 Vertical knows all the ins and outs of cutting carrier costs. To start saving money and getting the most out of your telecom system today, simply contact Vertical Communications at 252-618-6500 or by filling out the adjacent form. Contact a Vertical Expert about Cutting Your Carrier Costs Today!